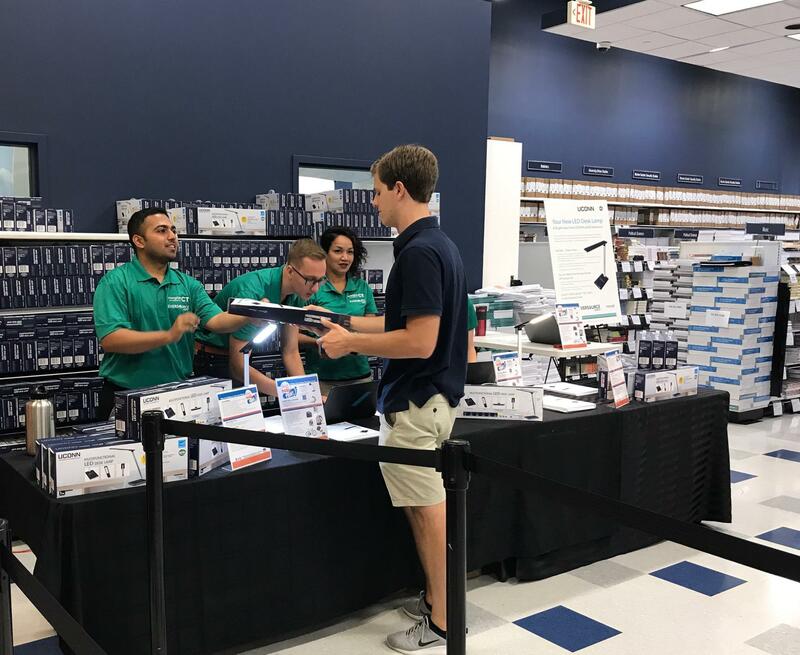 The upcoming school year is looking as bright as ever, as thousands of new and returning students recently flocked to the bookstore to receive the sleekest new edition to the #shrinkyourdormprint movement – an energy efficient, multifunctional LED desk lamp generously provided by UConn and it’s energy provider, Eversource. Equipped with varying light intensity, color, and height variations, not only is this lamp a terrific addition to dorm aesthetics, but it provides students the chance to take part in UConn’s commitment to an environmentally sustainable future. With this new dorm addition, students can keep their dorms well-lit and be more energy efficient with a product that uses at least 75% less energy and lasts 25 times longer than incandescent lighting. According to estimates by Eversource, student use of LED light bulbs for task lighting in the dorms saves more than 600,000kWh a year, concurrently reducing UConn’s carbon footprint by 400 tons of eCO2 and saving $60,000 in energy costs. These statistics also fall in line with UConn’s Climate Action Plan, where LED transition is a major component. Eversource has also estimated that if every student switched one old-school lamp with an LED, the saved emissions would total that similar to a small power plant for two semesters – and looking at the eager faces of students lined around the perimeter of the bookstore, it looks as though that statistic could one day be a reality. This year-round attention to energy efficiency does not stop here. 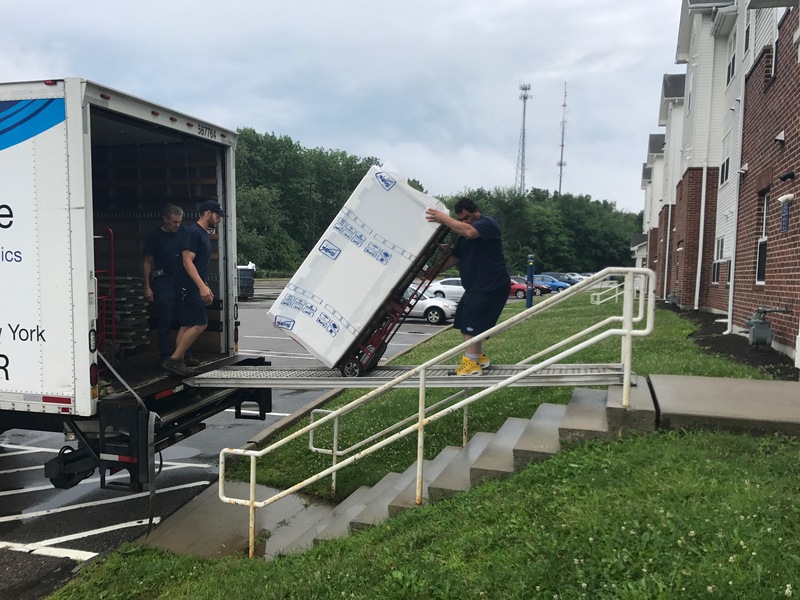 UConn also replaced refrigerators in both Charter Oak and Northwood apartments with ones that met the government-issued Energy Star standard. From June 15th to July 18th, 300 refrigerators were replaced, a transition that will conserve a whopping 10,000 kWh! While the massive distribution of LED bulbs and refrigerators are themselves impressive feats, the giveaways signified something much more. With the generous support from Eversource, these initiatives are proof of UConn’s commitment to environmental stewardship, and more impressively, its commitment to maintaining this objective both in and out of the regular academic sessions and simultaneously involving students in the process.